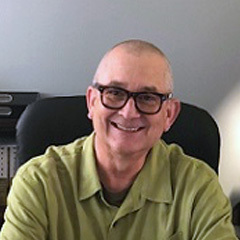 Dr. Sanders is a board-certified psychiatrist that joined the Georgia Behavioral Health Professionals group in May 2018. Dr. Sanders is a husband, father, son, brother, friend, teacher, and physician. Like everyone, he has experienced joy and love along with pain and loss. Through all the good and not so good, he has learned lessons about what to try that might help and what to avoid. One quote he lives by is "Everyday, we all valiantly struggle to live and learn another day." What he has learned is that the choice of life, love and commitment is ours to make. His father, taught him that everyone always has a choice and that he can choose to affect the world and create his place in it or he can allow the world to create a place for him. He chose to affect the world and is honored by those who allow him to be part of their journey to affect their worlds. He obtained his Bachelors of Arts from Birmingham-Southern College. Dr. Sanders furthered his education by earning his Medical degree from the University of South Alabama College of Medicine. Dr. Sanders completed Post-Graduate training from Children's Hospital National Medical Center in June 1987 and Vanderbilt University Medical Center in June 1991.